Running pace, that can be a confusing term. It can get a little confusing between tempo pace, marathon pace, 5k pace, easy pace. So what does it all mean and how do you stick to a pace anyway? I have three running paces. Willing myself to slow down. This is the pace I run when I see the finish line, I become revived and imagine myself to be a runner who has spent the last 10 years running 40 miles a day barefoot in the mountains of Kenya and can run 13 miles an hour. I also take to running at this pace when I'm starting out on a race, actually when I'm starting any run (which is the opposite of how one is SUPPOSED to warm up! ), when I am fartlek or doing some other sort of speed training run and when I see a creepy looking person and think my life might be in danger and I have to run as fast as I possibly can. This pace changes from day to day and sometimes changes multiple times during my run. It depends on how heavy or light I feel, how hard I have been training, whether I am still sore from yeseterday's Kenyan dash, whether I feel on top of the world or like I am carrying the world in my shoes. This is the pace I run when I am starting out a race and feel like I'm running the Kenyan dash and know I will not have energy to finish if I keep up this pace, or when I feel an injury coming on, or when I feel a pain in my side or when I can hear my breath over my full-volume-headphones. If these running paces sound familiar to you, let's translate them into tempo, marathon, 5k and easy paces. The tempo pace is in between the "Comfortable Pace" and the "Kenyan Dash" paces descriped above. It is meant to take you out of your comfort zone, but not to be so fast that you won't be able to maintain it for the required 3-5 miles usually called for on your training schedule. Depending on whether you consider yourself to be a "lazy" runner or a runner that is constantly having to remind herself to slow down, the easy pace is somewhere between the "Comfortable Pace" and the "Willing Myself to Slow Down Pace." 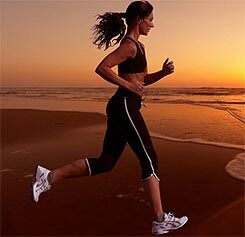 On an easy run, you should be able to breath without hyperventilating, you should not feel any pain and you should be able to pass the singing test. There are some cool online calculators that can help you calculate your marathon pace. Runners World has one. However, whether you actually achieve that marathon pace will depend on your training. If you want to achieve a certain pace for a marathon, you should train with that pace in mind, but you don't want to train at that pace during your long runs. Your long runs while training for a marathon are usually supposed to be at a pace of 45-90 seconds per mile slower than your marathon pace according to my favorite online marathon training coach, Hall Higdon. I determine my 5k pace about the same way as I determine my tempo pace. However, I am not a 5k runner. I usually run a 5k and any other race shorter than a marathon as a training run for my next marathon. 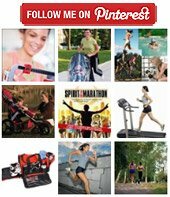 If you are looking to improve your 5k pace, you might find some other sites that are more helpful in that department. Here are some general tips to help you increase running speed. Here are some running techniques to help you work on your running pace. 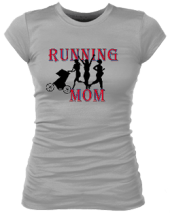 I promise to use it only to send you Inspiring Running Moms.